Powerful. Robust. Premium beam pattern - 90 Lux light output (High Power mode). Weighs only 98 g (without battery/cable). Test winner in Europe’s largest racing cycle magazine. 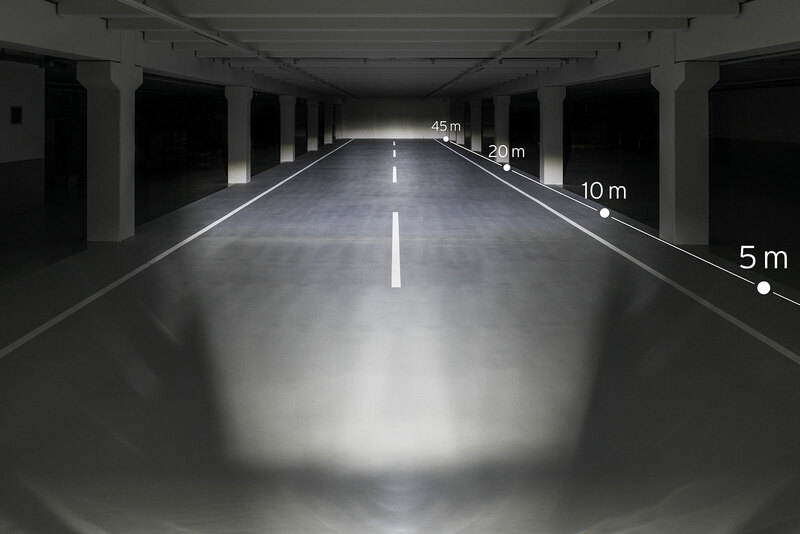 Using a second headlight, perfect for race situations: supreme light output of up to 180 Lux.